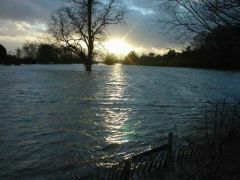 A flooded Marsh Meadows. 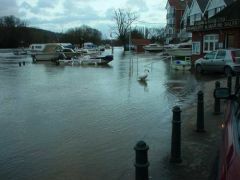 Have seen it much worse. 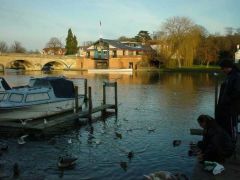 Comedian Jimmy Carr walks away from Marsh Lock after leaving David Walliams to continue on his "Walliams vs the Thames" challenge for Sport Relief 2012. 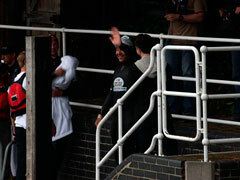 David Walliams waves goodbye from Marsh Lock in Henley as he embarks on the next stage of his "Walliams vs the Thames" challenge for Sport Relief 2012. 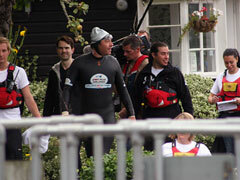 David Walliams smiles for the camera in Henley during his "Walliams vs the Thames" challenge for Sport Relief 2012. 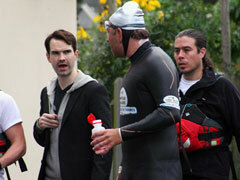 David Walliams has a quick chat with Jimmy Carr during a short break in Henley from his "Walliams vs the Thames" challenge for Sport Relief 2012. 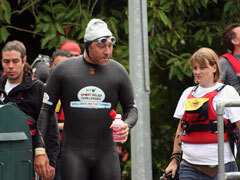 David Walliams takes a short break in Henley from his "Walliams vs the Thames" challenge for Sport Relief 2012. 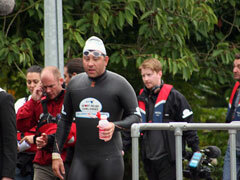 David Walliams grabs a quick drink in Henley on a short break from his "Walliams vs the Thames" challenge for Sport Relief 2012. 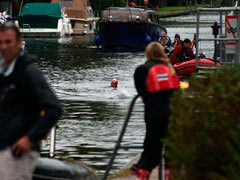 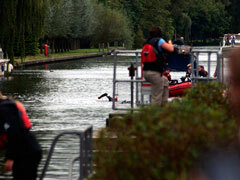 David Walliams approaches Henley during his "Walliams vs the Thames" challenge for Sport Relief 2012. 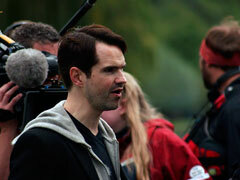 Comedian Jimmy Carr meets the crowds in Henley during David Walliams' "Walliams vs the Thames" challenge for Sport Relief 2012. 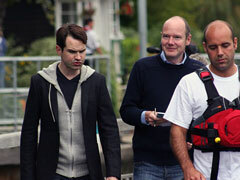 Comedian Jimmy Carr walks along the tow path in Henley during David Walliams' "Walliams vs the Thames" challenge for Sport Relief 2012. 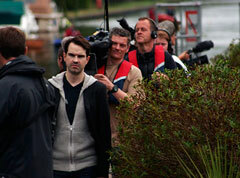 Comedian Jimmy Carr waits with a television film crew for David Walliams to arrive in Henley during his "Walliams vs the Thames" challenge for Sport Relief 2012. 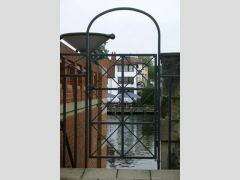 Late September 2010 just below Marsh Lock in Henley. 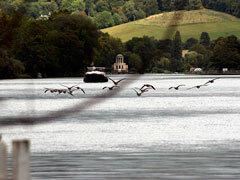 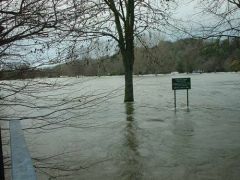 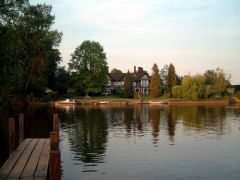 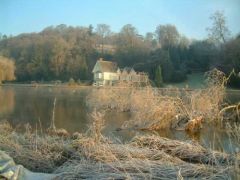 A view of the river flooding taken from Rod Eyot island in Henley during early 2009. 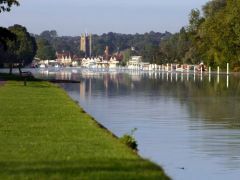 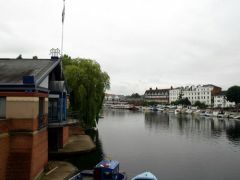 Looking up the river from Henley Bridge with the Regatta Headquarters on the left. 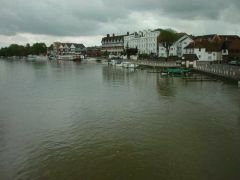 Looking down The River Thames towards Temple Island (out of view) from Henley Bridge with Thames Side on the left. 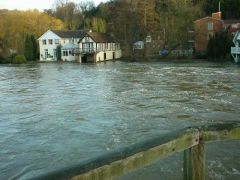 The Angel on the Bridge public house from the metal gate next to the Henley Royal Regatta headquarters building. 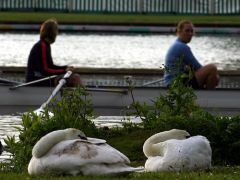 Swans sleep alongside the River Thames as some rowers drift by. 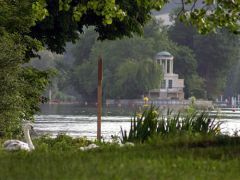 Swans rest by the River Thames at Temple Island. 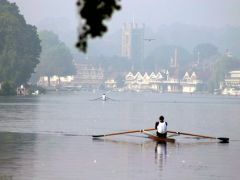 Rowers on the River Thames with Saint Mary's Church in the background. 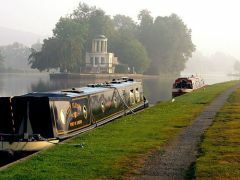 Two narrowboats rest on a peaceful River Thames by Temple Island. 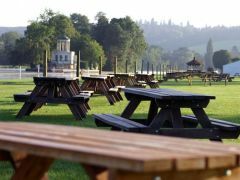 Picnic benches line up alongside the River Thames by Temple Island. 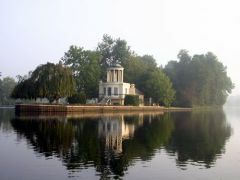 Looking towards Saint Mary's Church along the River Thames. 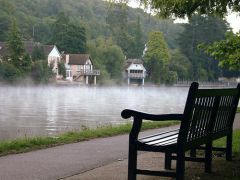 Benches line the River Thames looking towards Temple Island as some geese consider going for an early morning swim. 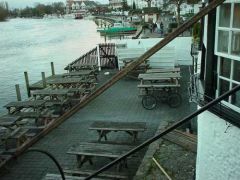 Damage caused alongside the River Thames by the winter flooding of Henley-on-Thames in early 2003. 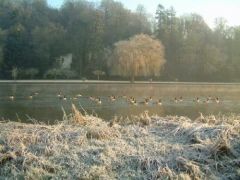 Frozen trees growing from the River Thames on a cold January morning. 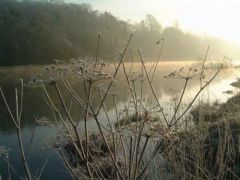 The River Thames on a cold but beautiful January morning. 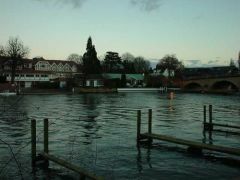 Barges floating on a cold River Thames during an early winter morning in Henley-on-Thames. 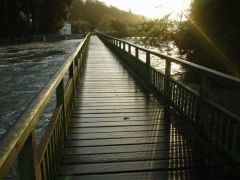 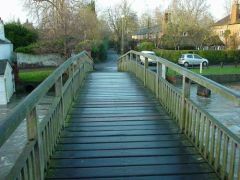 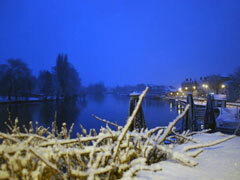 Marsh Lock footbridge stretches over the River Thames on a winter morning in Henley-on-Thames in early 2003. 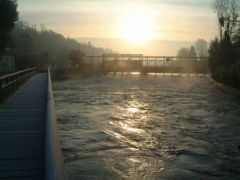 Sunrise over the weir on the River Thames in Henley-on-Thames on a cold January morning. 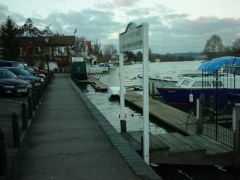 A dark photo of the River Thames taken during the Henley-on-Thames Christmas late night shopping event. 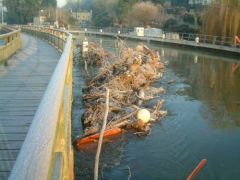 The River and Rowing museum demonstrating clearly why it was built on stilts during the floods of 2000. 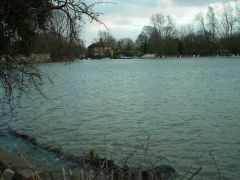 Mill Meadows during the floods of 2000. 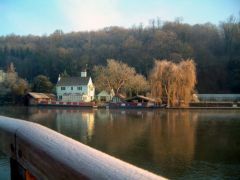 In the distance is St. Mary's Church. 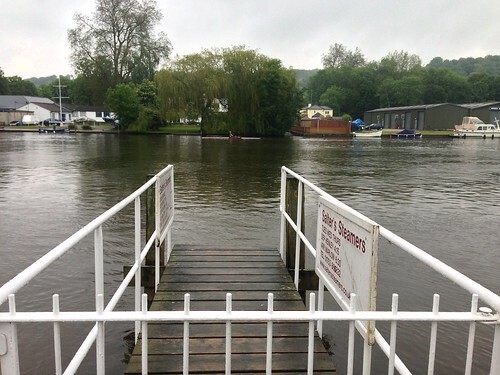 This picture shows the River Thames overflowing by Hobbs boathouse and yard. 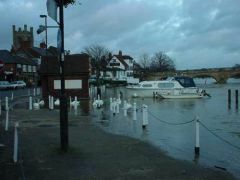 This picture shows the River Thames overflowing along the river front. 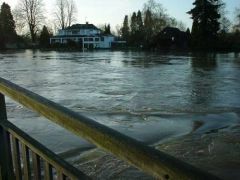 The River Thames overflowing at the end of Friday Street. 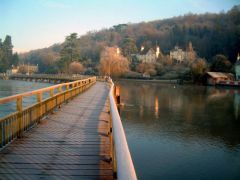 To the left in the distance is St. Mary's Church. 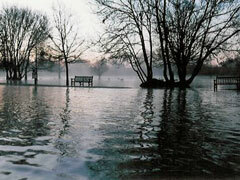 This picture shows Mill Meadows after the River Thames burst its banks during the floods of 2000. 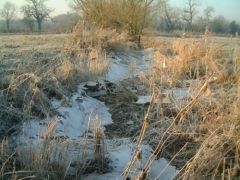 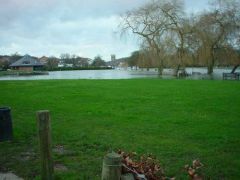 The River Thames burst its banks during December 2000 causing Mill Meadows to flood. 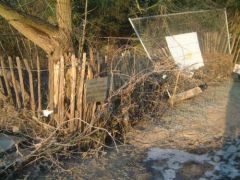 The amusingly placed "DO NOT LIGHT A FIRE" sign situated in Mill Meadows during the floods of 2000. 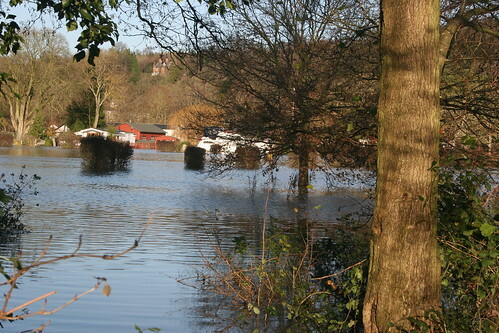 This picture looks towards the main road from Henley-on-Thames to Wargrave that runs through the woods. 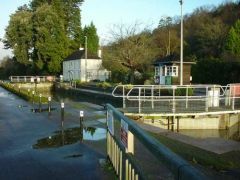 The lock-keeper's cottage at Marsh Lock. 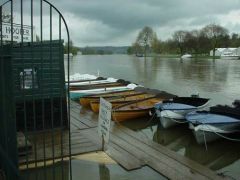 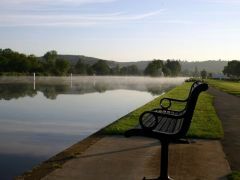 This picture looks towards Henley-on-Thames. 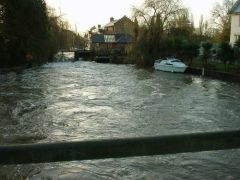 The River Thames taken from the footbridge leading to Marsh Lock during the 2000 floods, notice how high the water level is. 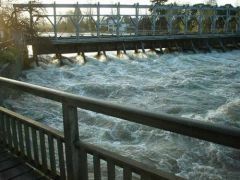 The extremely fast running River Thames flowing through the weir by Marsh Lock taken from the wooden footbridge. 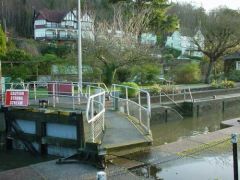 Marsh Lock situated on the River Thames at the edge of Henley-on-Thames. 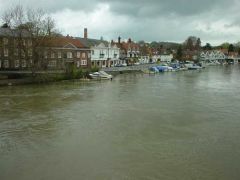 The very high water level of the River Thames taken from the footbridge leading to Marsh Lock during the 2000 floods. 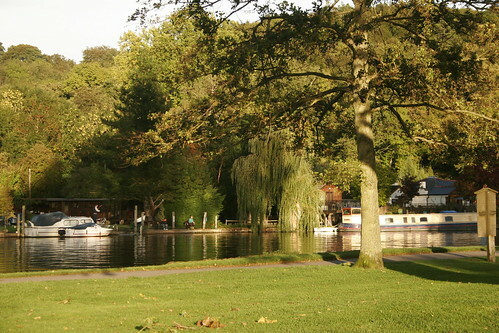 Some of the boats available for hire in Henley-on-Thames along the side of the River Thames. 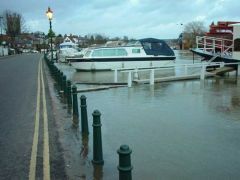 This picture shows the river front taken from the other side of Henley Bridge. 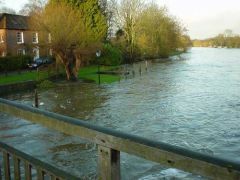 This picture shows the river front taken from Henley Bridge. 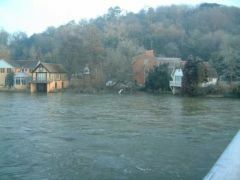 The weir on the River Thames during the floods of 2000 showing how dangerously fast the current can get. 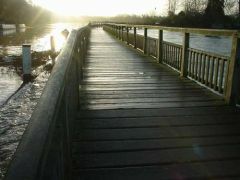 The River Thames taken from the footbridge leading to Marsh Lock during the floods in early December 2000. 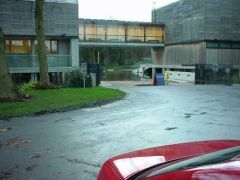 The stretch of the river opposite The Little White Hart showing the private parking area allocated for patrons of the restaurant only. 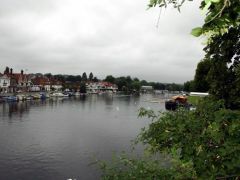 The river with the Leander Club on the opposite side. 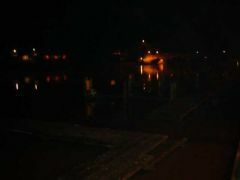 Henley Bridge is in the far right in front of the Regatta headquarters.